Over 200 pupils from St Stephen’s Primary were yesterday given supplies after First Step made its inaugural donation at the institution. Devindra Singh (left) and Headmistress of St. Stephen’s Primary Sunita Durgha. First Step, a non-profit organisation, was formed in January by Devindra Singh, a Guyanese-born Canadian citizen who has been living in the North American country for 16 years. Singh cites his motivation to start the project as growing up in Guyana and being “underprivileged” and not being able to afford certain necessities to attend school. 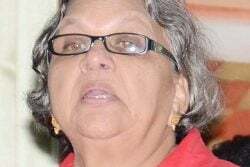 “I always wanted to do something like this for a very long time and I never had the drive but I met some amazing people in a forum that assisted me greatly,” Singh told Stabroek News. While the idea floated around his head, his motivation was low. Singh explained that it all changed for him when he attend a motivational programme called Landmark. “The main focus [of the programme] is to open up your mind and help others and I was able to meet some amazing people and my coach, Brinn Norman, really pushed me to do it and this is where I am,” he explained. 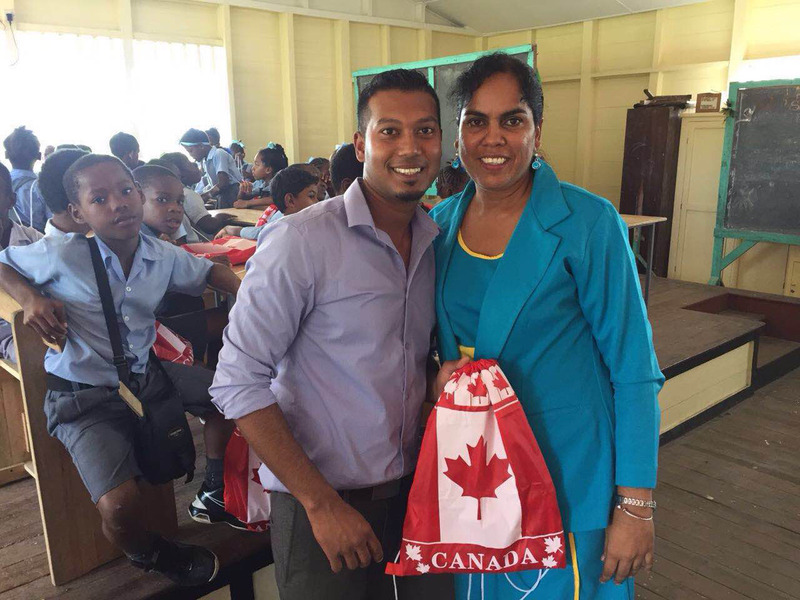 “I always wanted to give back to Guyana and what’s a better way to do it than by giving back to my primary school and in the education field,” he added. Singh said he believes it’s the smallest things in life that can make the biggest impression. “It doesn’t matter which school someone attends, every child has the potential to be great and achieve great things some day and sometimes some of them are left on an uneven playing field because of their situation and that’s what first step is about – assisting every child with making their first step in achieving great things,” Singh said. “I strongly believe that everyone should have an equal opportunity. Not only in education but in life in general. 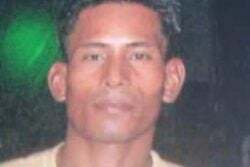 Regardless of their race, religion or financial status,” he said. 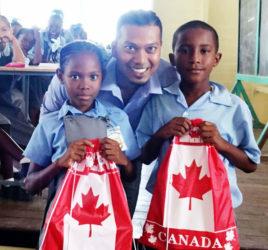 The 200 children received a school bag each, equipped with supplies such as books and pencils that were donated by Canadian citizens and the Guyanese diaspora in Canada. “With the help from the diaspora and others around I hope that First Step goes from this little step that it is making to even larger ones in helping students who are in need around the country,” he added, stating that while the organisation was recently born and is in its infant stage he hopes that it will be able to grow from just donating school supplies to possibly assisting students with scholarships. “It’s an idea I would love to see come to life but we are now starting so we have to see where we go from here,” he added. “…And it’s also 20 years since I graduated from the school so it’s sort of symbolic that I can come back and contribute something two decades after,” he added, explaining that while the times might have changed in 20 years, there are still lots of students who still might not be able to get the small things sometimes and that’s where the organisation comes in. The 200 children flocked the upper floor of the school and were elated when they were given their supplies. The teachers were also given a token of appreciation for their hard work and Singh reminisced on when he attended the school and the teachers motivated him. Addressing the children and teachers he said, “I remember where I used to sit like it was the other day and there was this one teacher that always used to push me and even when I wrote common entrance he said it wasn’t enough and kept pushing me more and I feel like that’s one of the main reasons why I was able to push to where I am today. Headmistress of the school, Sunita Durgha, expressed her gratitude towards Singh for the contribution to the school. “We at St Stephen’s [Primary] are very happy about the initiative by First Step. 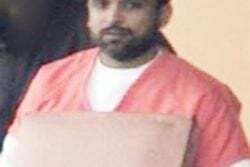 And we want to assure Devindra [Singh] that the children will make good use of the contributions and we are happy he thought about us and we want to wish him good luck in his future endeavours and may God continue to bless him and guide him as he moves forward in life,” Durgha said. Another teacher, Winston Noel, also echoed the sentiments of the headmistress and thanked the organisation.